I ran against Democratic state Rep. Diane Russell from Portland in Tuesday’s election. I’ve been asked by some voters, “Why run against Diane? She’s progressive and has done a great job!” To that I say, sure, the last thing I’d want to do is deny Russell her accomplishments. For example, Green Independents Anna Trevorrow and Ben Chipman, a former Green who serves as an independent state representative, worked on the Portland Charter Commission to lead on ranked choice voting for Portland mayor. Now, as we know, Russell and state Sen. Richard Woodbury have introduced a push to introduce ranked choice voting statewide. With this new push for election reform, I’m excited to do whatever I can for the cause, regardless of where support comes from. I only hope these efforts from Russell and Woodbury are genuine. If they are not, you had better believe the Greens’ efforts will be. People who say “Green is the party of my heart, Dems are the party of my pragmatism” will no longer have this excuse to use in three-way races. They would be officially free to vote for Greens and vote for Greens as their first choice without worrying their vote will inadvertently result in a Republican’s election. Will people who want to see Maine start on a similar path as Vermont, with regard to universal health care, put Green candidates as their first choice in races with Democrats who avoid the issue? Will people who want to see schools like the University of Southern Maine saved from unnecessary austerity measures put Green candidates as their first choice over Democrats who have abandoned this crisis? I’m not so sure. Election reform of this nature is made up of equal parts legislation and revolution of mind. People need to understand they can and should put Democrats as their second choice if they want to see dramatic change on these issues. Even though Democrats are much better than the far-right Republicans, where are they on revolutionizing health care access? Where are they on saving higher education and making it truly affordable or entirely subsidized? They aren’t there. 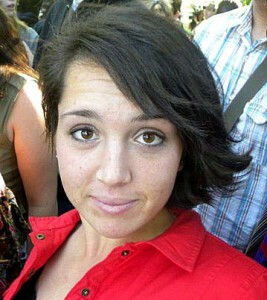 Lauren Besanko was the Green Independent candidate for the Maine House in District 39, which covers a part of Portland.